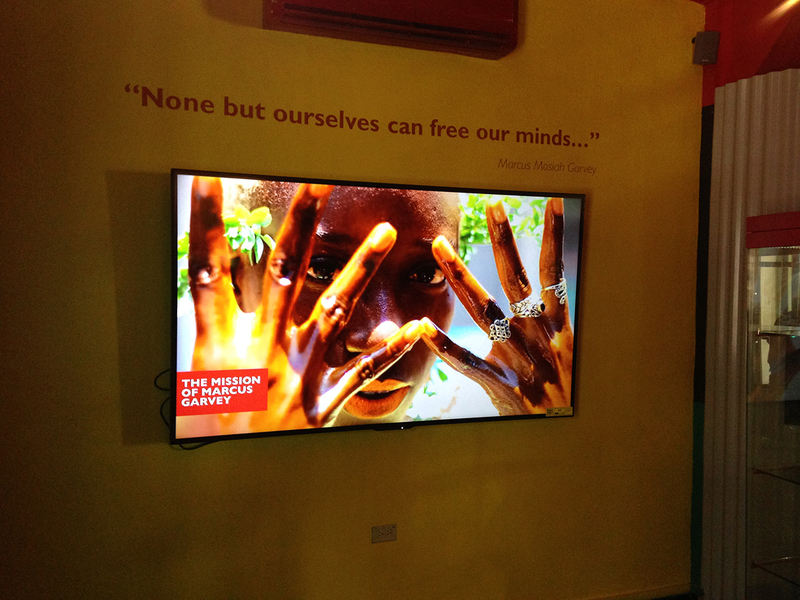 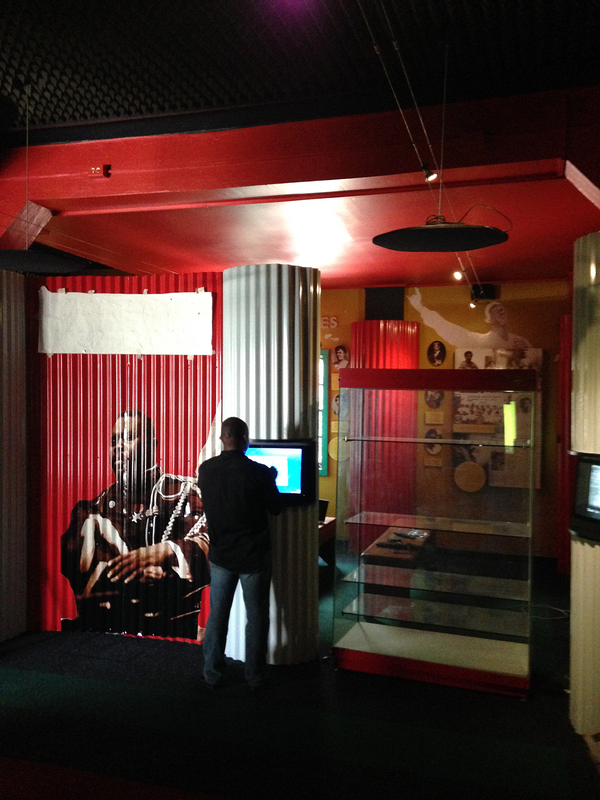 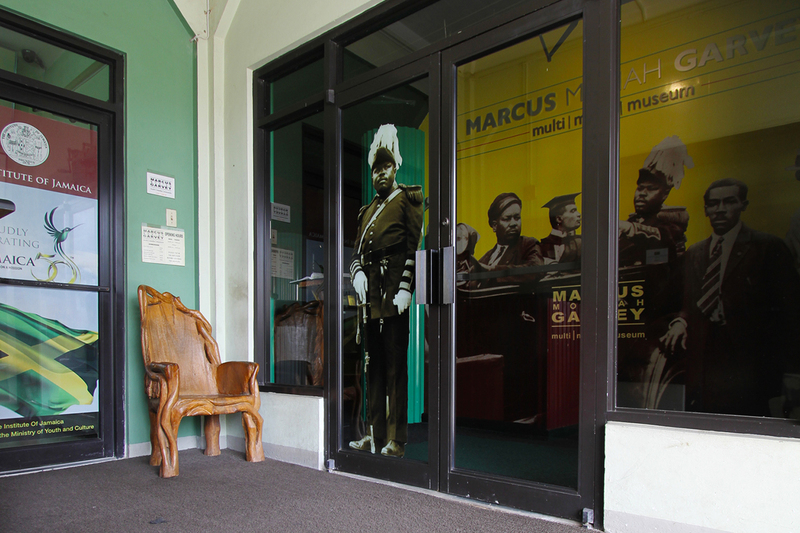 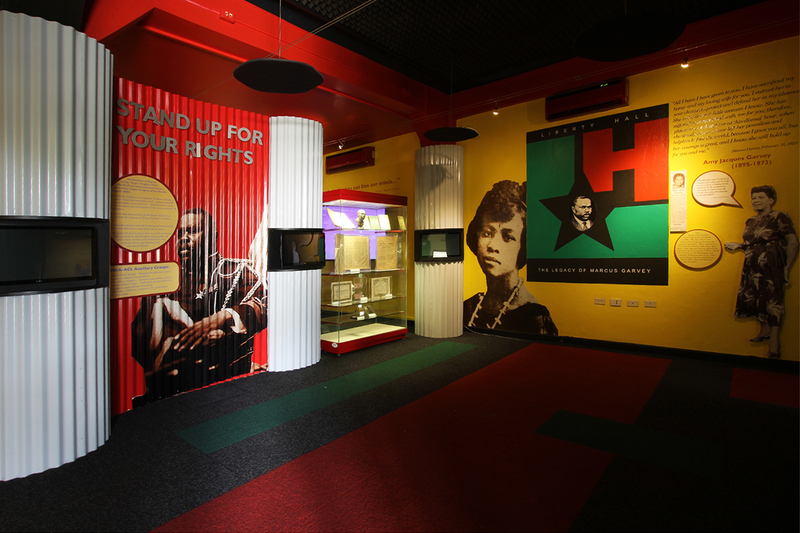 The Marcus Garvey Interactive Museum project included interior visual build out, interactive touchscreen’s, and animation design. 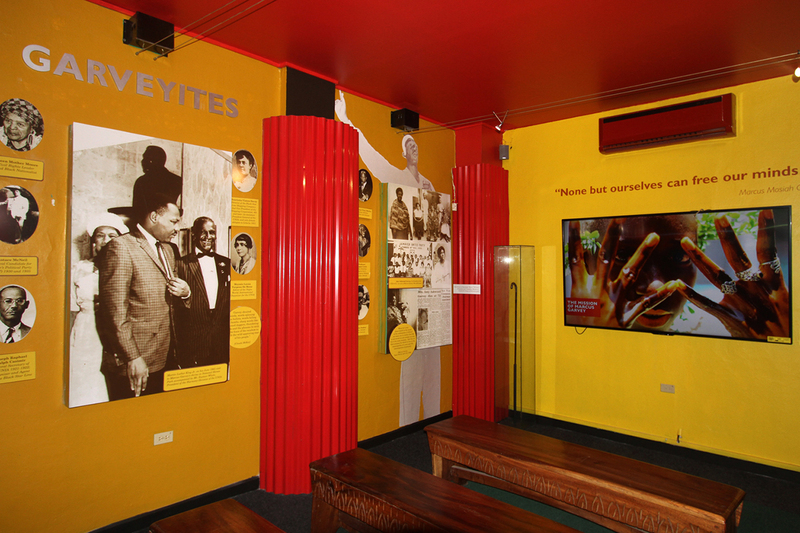 From concept to completion, Art On The Loose Creative Therapists developed a visually stunning, interactive space with a focus on communicating the life and mission of Jamaica’s national hero, Marcus Garvey. 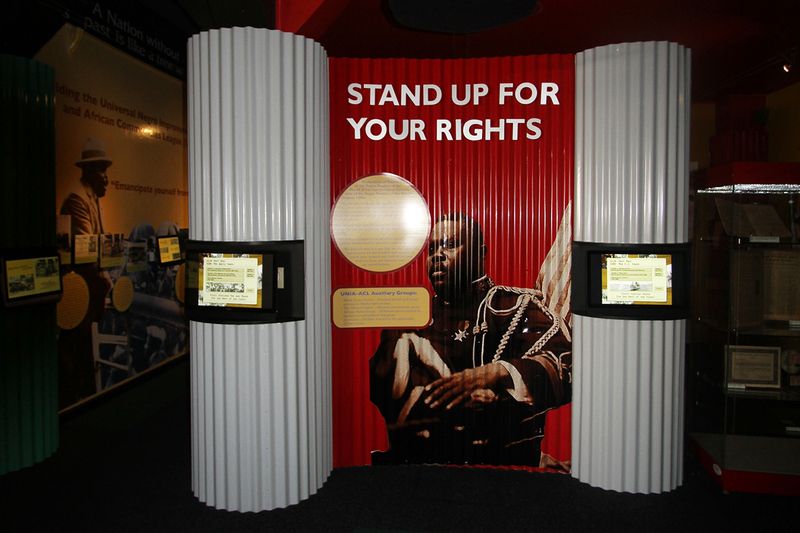 The interactive’s communicate a strong message to the visitor. 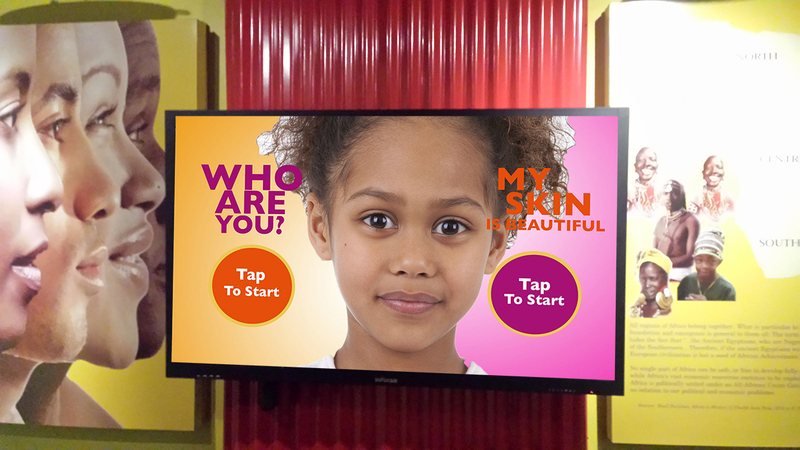 The strong message of the Self-Identity interactive is that ones natural features such as skin color, facial features and hair are inherently beautiful. 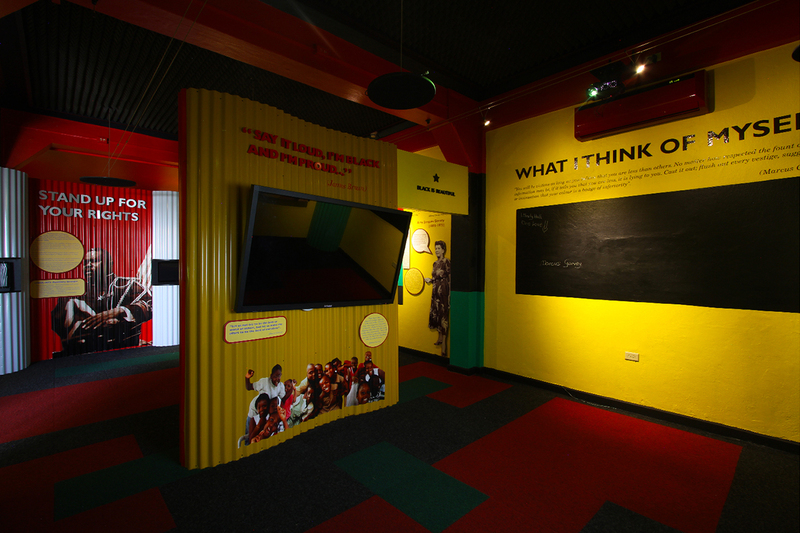 "Black is beautiful." 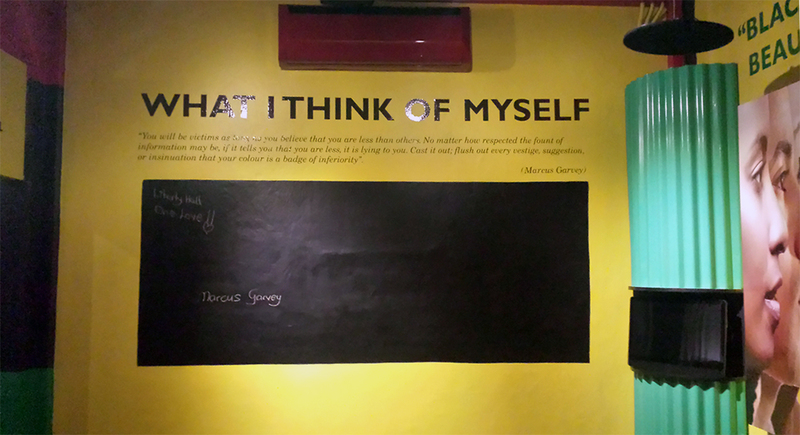 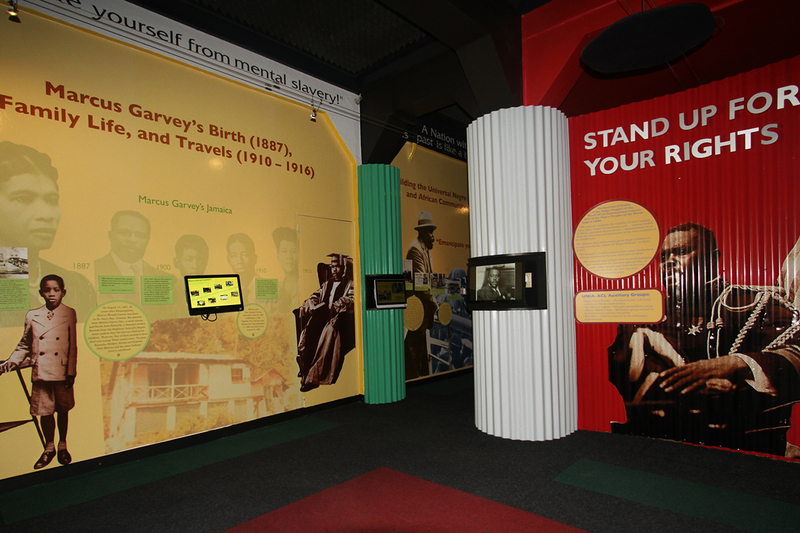 Many interactive touchscreen displays with key historical facts about Marcus Garvey and his followers, the Garveyites, are placed strategically throughout the exhibit. 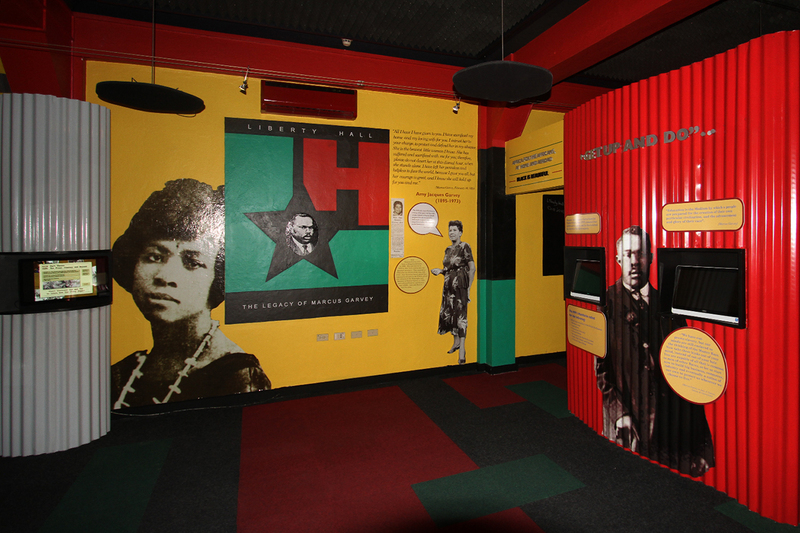 The exhibit project included the complete re-design of interior space. 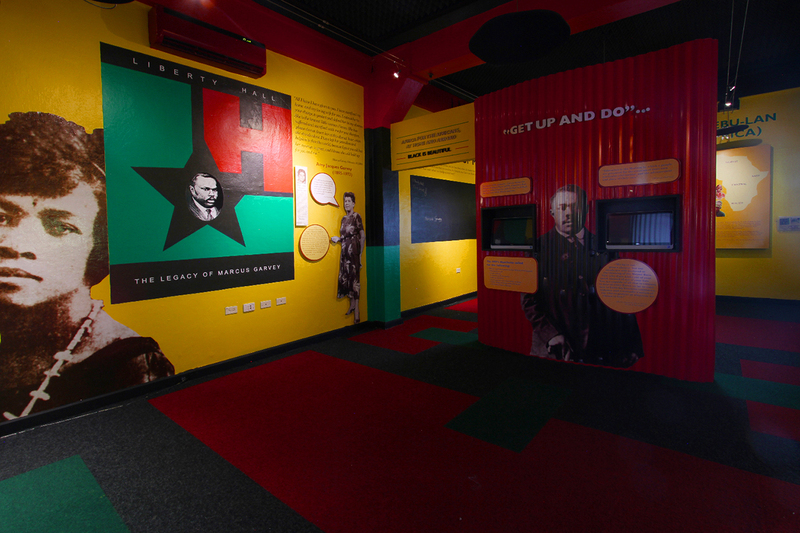 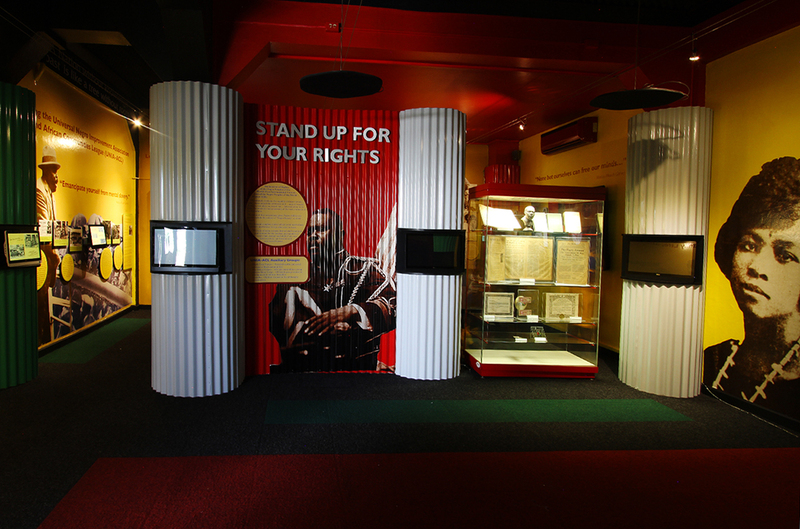 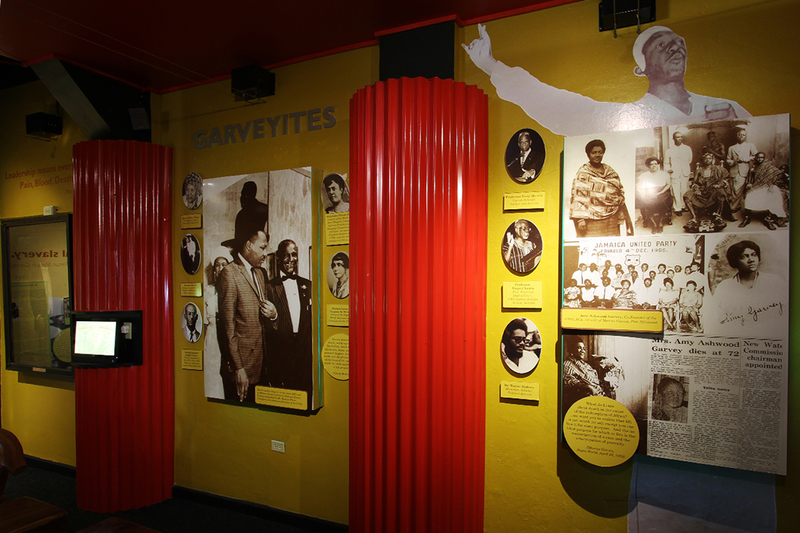 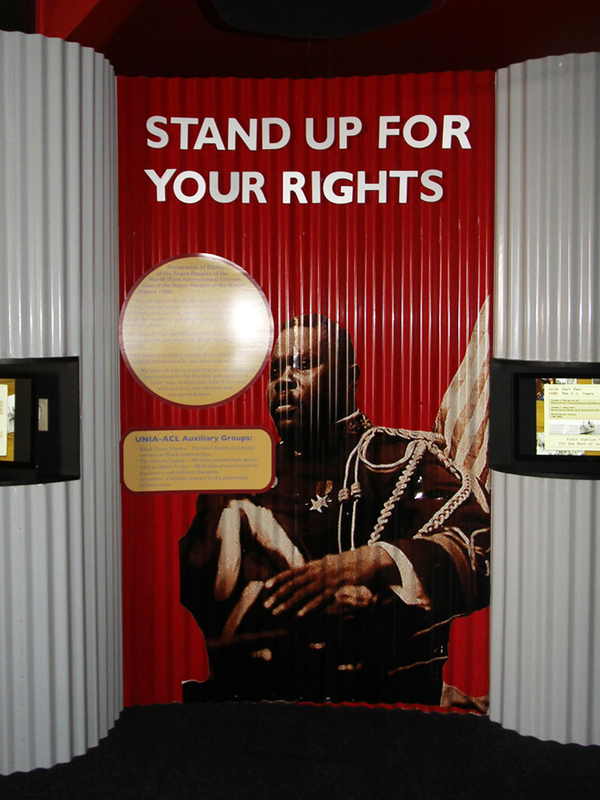 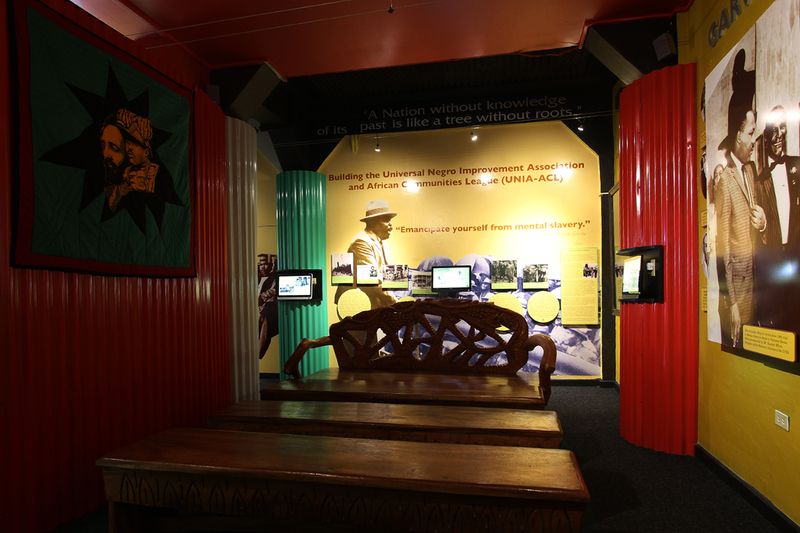 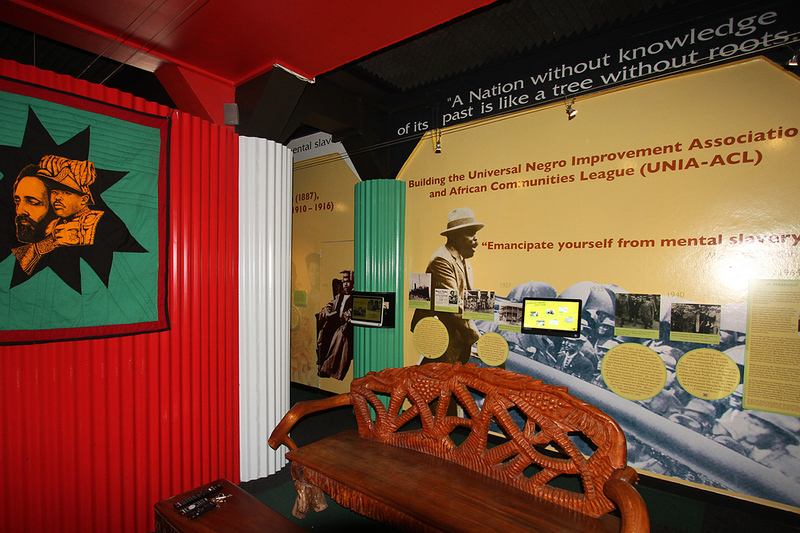 With many multimedia interactive touchscreen displays, large video monitors, animated human morph wall projection, historic images, newspaper clippings, video production of narratives and a multitude of other visual components designed and placed to communicate and celebrate the positive successes of Marcus Garvey and the Garveyites.